Being a breeder means spending 95% of your time doing the dirt so you can enjoy the 5% of exciting activities with your dogs. Cleaning, licensing, accounting, promoting, outreaching, and so many more chores. This page is for you to get the tips and tools to perform these chores with ease just so you can then refocus on the good part of being a dog breeder: dog shows, promotion, networking, etc. Every ethical dog breeder must nurture a healthy relationship with their breed club as well as any other kennel clubs they are affiliated with. Indeed, such clubs can help you over the years by promoting your bloodline, providing you with interesting reads, inviting you to events, and so on. You should absolutely sign up to the right clubs on both the national and local levels. From licensing and cleaning to health and safety — this is the daily grind. As soon as you want to get involved with dog breeding, there are plenty of questions that will go through your head. 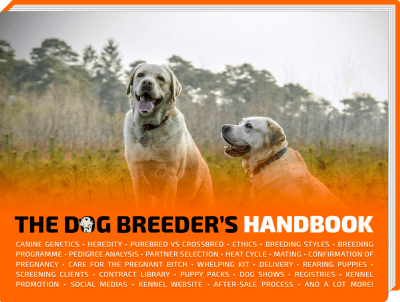 You can read our recent and already very popular article on starting a kennel or grab yourself a copy of our comprehensive (300+ pages) bestseller, The Dog Breeder’s Handbook. Here are a few day-to-day operations all breeders have to deal with. In most countries, dog breeding is totally legal. Not all dog breeding facilities or kennels must get a license with the USDA or in the United Kingdom, with their local council. 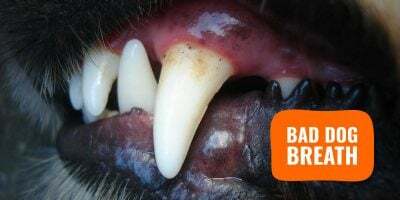 Each council and state has different regulations in place but usually, dog breeders must get licensed if they have more than X breeding dogs at the same time. A virus or bacterial contamination can ruin years of hard work, so you must have a precise cleaning schedule and use the best kennel disinfectants out there that will be gentle on your dogs and environment, but tough on viruses and bacterias. 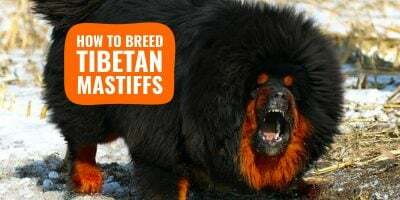 Backyard dog breeding is irresponsible and generally gives very little importance to hygiene and the sanitization of the canine areas. Having a kennel often means handling chemicals and building specific areas for the dogs to enjoy themselves (pens, runs, whelping boxes) which puts you at risk, so make sure you follow the basic health and safety rules. Whether your dog breeding activity is taxable or not depends on how you are run it and how much profit you are generating, if any. It also depends on the timeshare dog breeding is taking from your daily activities. If you are professional breeding dogs, you may want to consult with an accountant just to clarify a few points. You do not want to IRS knocking on your door to ask you for years of unpaid taxes. How Much To Sell a Puppy For? We’ve written an extremely popular article layout out the right strategy to follow when deciding on the price for each of your puppies in a litter. The principle is simple but tedious: sum up all expenses related to your litter and kennel, divide them by the number of puppies in the litter, and work around that starting price. Connect with fellow breeders, breed judges, brands, and more. The best way to grow as a dog breeder is to build valuable and long-lasting relationships with various personalities linked to your breed, or to the dog world in general. Prepare a spreadsheet and make a list of the people you must connect with. Contacting them doesn’t mean they will reply and bond with you. Maybe 10% will reply and actually care about you. Once you creating a relationship with one of these people, you must nurture it by listening to their needs, meeting them when possible and help each other. Having a special relationship with breeders and judges specialized in your breed will help you understand the trends and the future of your breed. Obviously, networking with other breeders means finding new external blood easily, as well as potential buyers for your next litters. 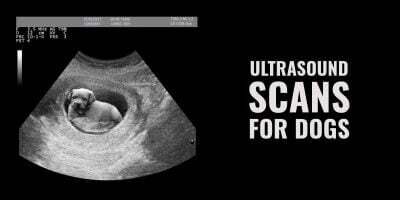 The last thing you want to be is a solo breeder who just posts ads when a litter is on the way. Participate in dog shows and make yourself known. Dog shows are intimidating for most dog breeders because they are victims of the imposter syndrome. Meaning, most breeders although happy with their work are constantly feeling like they aren’t good enough, and their dogs aren’t worth being shown. Let me tell you that now: you are wrong! But let’s start with you being right and your dogs aren’t worth being shown. So what, is that it? Don’t you want to hear it from a judge or other breed specialists and know what to improve over the next breedings? No dog is perfect, and dog breeding is a perpetual process made of errors, improvements, fixes, and challenges. Even if your dogs are great and show winners, you still need to get your kennel name out there to promote the hell out of it. So many bad products with great packaging and marketing dominate the market. How many people think Coke Zero is healthy? You cannot just have great dogs, you have to show them to be acknowledged by peers. Lastly, dog shows and pet exhibitions are the best way to meet and network with the right crowd even if you will encounter your lots of drama and politics, just like you would anywhere else. Social medias are a must these days, so get your dogs out there. Whether you live remotely or are shy, you may prefer conquering the Internet over dog shows. Or you may want to put your kennel’s online reputation on par with your great results at dog shows. Regardless, it’s time for you to understand what demographics are interested in dogs like yours and put yourself and your dogs on these demographics’ favorite social platforms. And so on with Tumblr, Youtube, and all the upcoming ones! Once you are on these platforms, do not spam and instead, tell your story. Show what it is to be a dog breeder: the good, the bad and the ugly. People love to follow those who are genuine and authentic. Additionally, social media channels are ideal for breeders to stay in touch with their past customers. You can observe how are your puppies evolving over the years, and ask for feedback from your clientele. That way, you can improve generation after generation. All of these tips will help you build a strong following that will then enable you to sell your dogs online better and with higher price tags. Also allowing you to create side income streams through social media marketing and sponsored advertising. Pet brands love social media personalities with big following and sponsorships have a huge impact on what a dog breeder earns. There is money in dog breeding and it is up to you to decide how ethical you want to be in your own kennel. A lot of breeders cut corners for short-term gains and we are against that. Your dogs and their health should always be your main worry – even if it means taking a loss for that year.